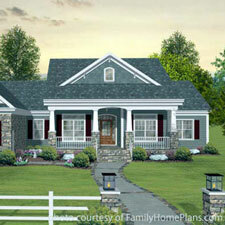 Simple house plans with porches are not only cost effective but quite charming as well. 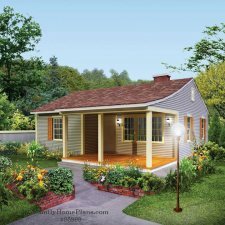 - in fact, Mary and I like the idea of affordable yet functional living, less clutter, and less overall costs for heating, cooling, and maintenance. Simple doesn't necessarily mean austere. 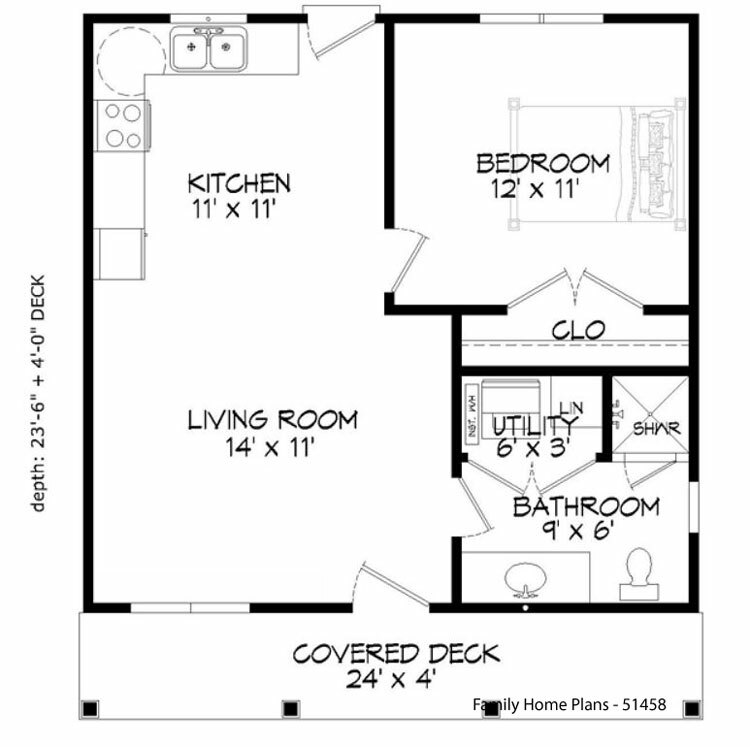 You can still have as many amenities you want; however, floor plans tend to be more functional with rooms having more than one purpose. 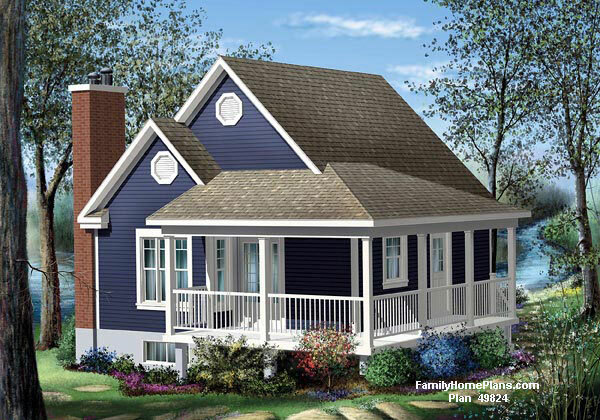 The best part of course, is that you can still have a nice front porch! 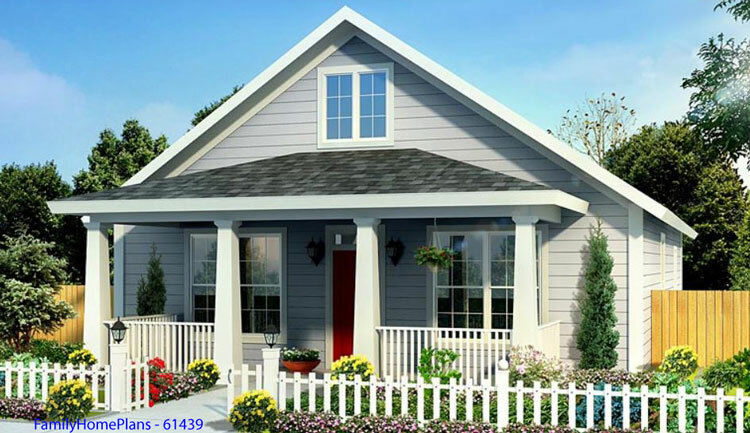 Most simple home design plans will incorporate straight roof designs, usually a gable roof covering the entire structure. 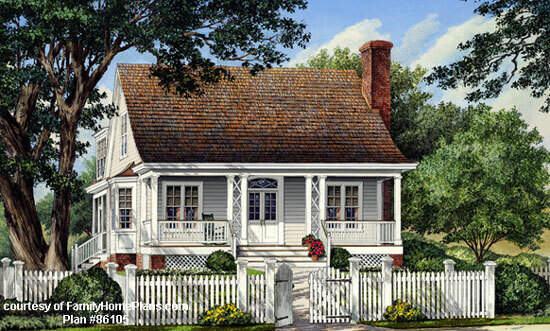 Absent will be dormers or multiple gables or combination thereof. This significantly reduces the overall cost. 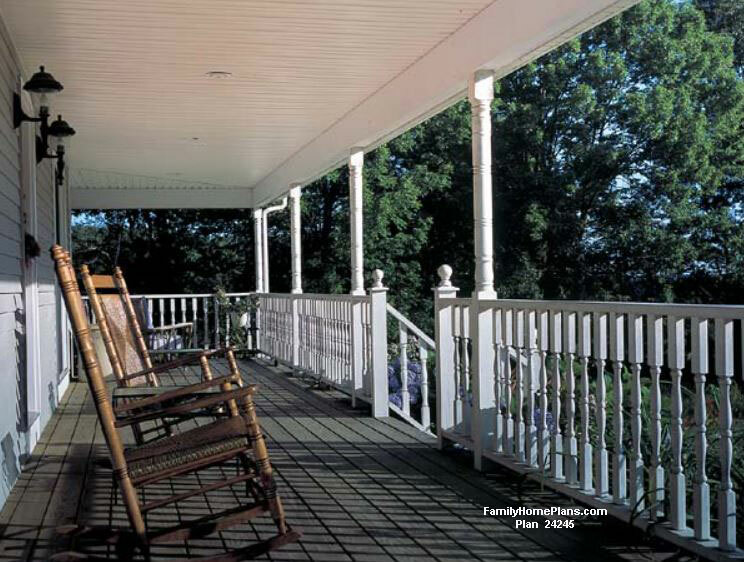 Whether desired for curb appeal or for a place to relax and watch the world go by, a front porch is an architectural feature that adds value and comfort to almost any home. 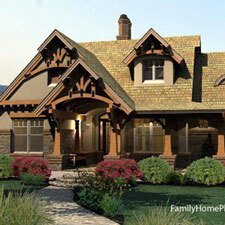 Don't forget that you may have options for porch designs when selecting home plans. 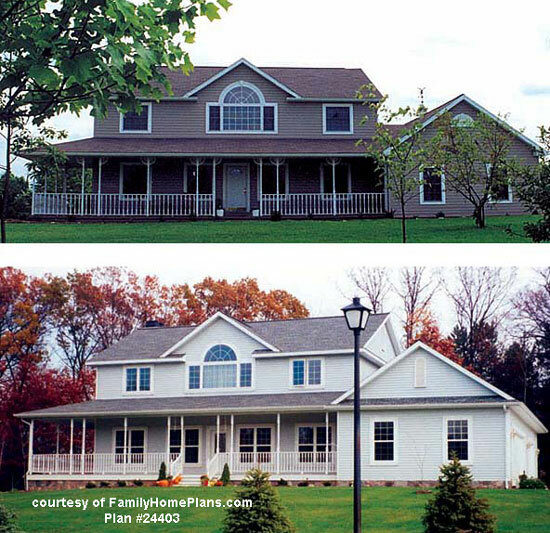 When selecting your plan be sure you can alter or modify the plan. 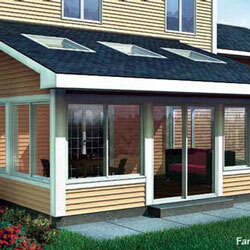 This ensures you can modify the plan to make it a wrap around porch house plan if you so desire. 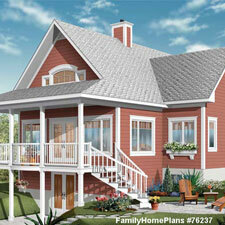 If you'd like to search for house plans, we welcome you to search on Family Home Plans. Our referral link means the exact same price to you. 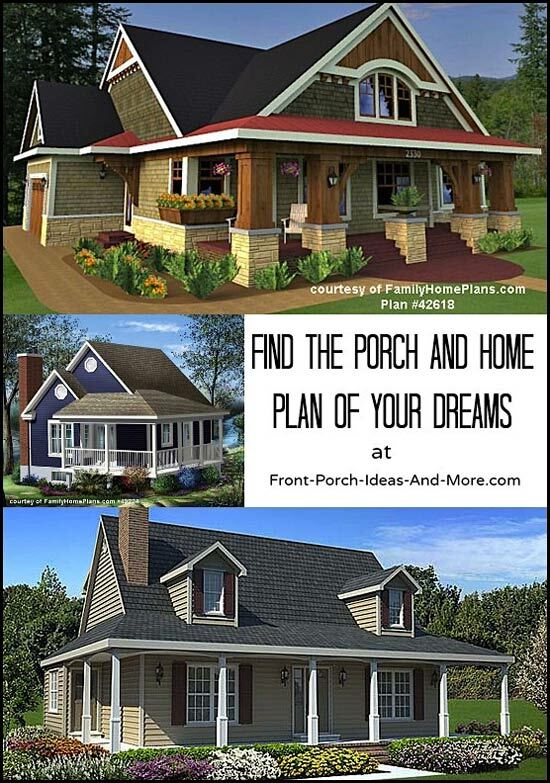 Do you dream of a home with a porch? 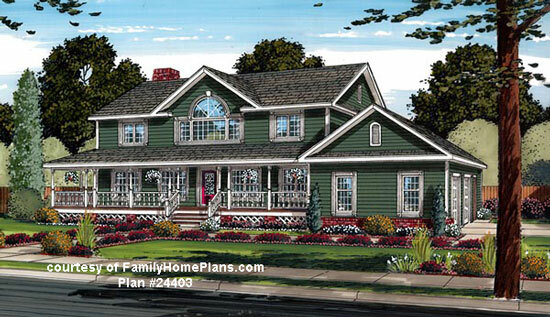 We've found some very nice plans! 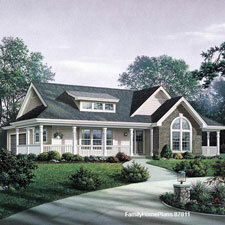 Find a variety small house plans with big appeal... All these plans have fantastic porches too! 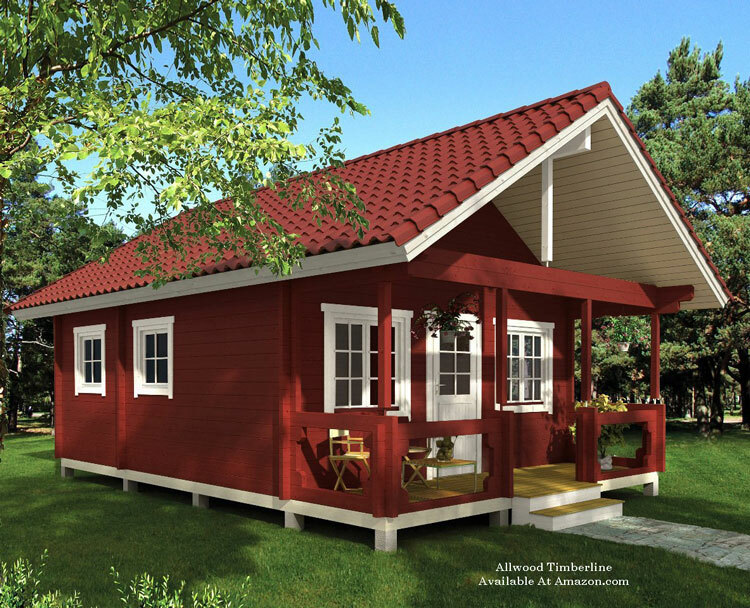 Have you ever envisioned living in a very small home? 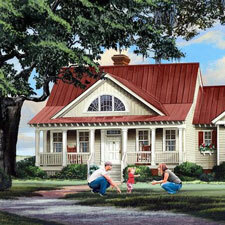 Before settling on a home plan, contemplate how it complements your lifestyle, stage of life, and of course, your budget. 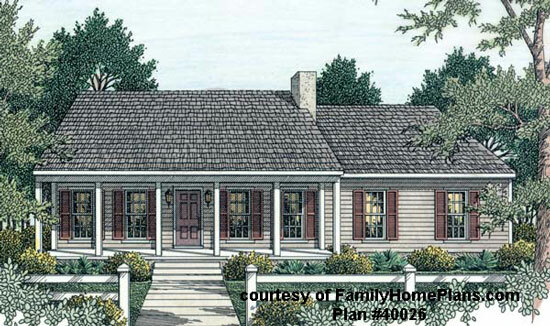 Mary and I have gone through the biding process twice and know that a "dream" home begins with a detailed plan. 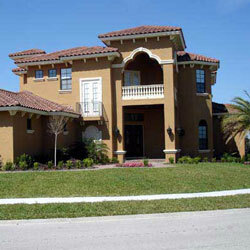 We also know that unless you have an unlimited budget, you will have to compromise on something. So it is very important to distinguish must haves from would-like-to-haves during your selection process. 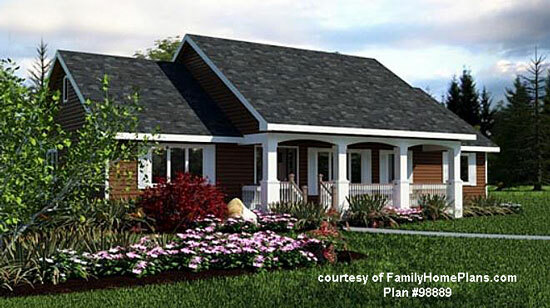 We appreciate Family Home Plans allowing us to feature their house plans with porches and know you can find your dream home too. 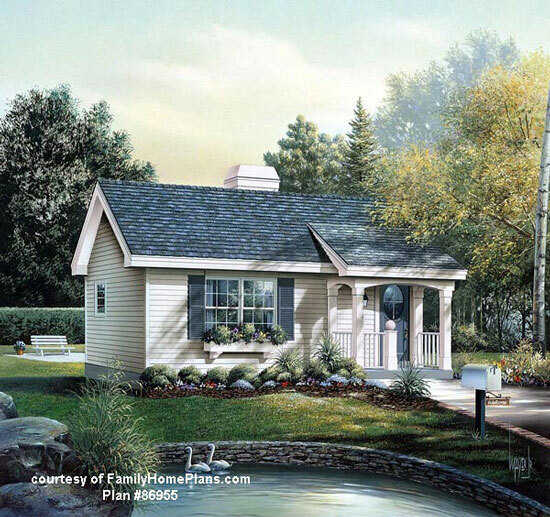 Here's a short video of one of the home plans Mary and I really like; hope you enjoy the different perspectives it affords. Would you like to see more details of a plan? Jot down the number and go here. We thought we'd feature some of the most popular home plans that have porches - we know you'll soon discover why they are popular. For your convenience, we've linked to the actual plans so you can obtain more detailed information or for ordering if you so desire. 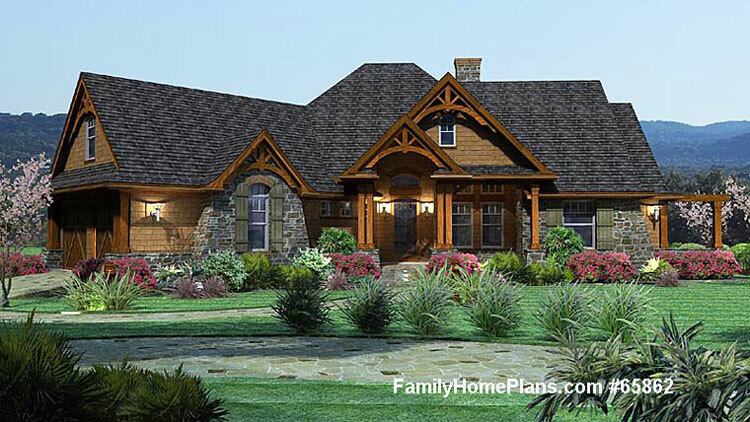 Who doesn't like a large wrap around country style front porch? 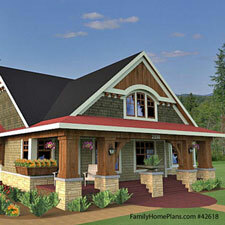 This home has one plus dormers which adds lot of curb appeal. 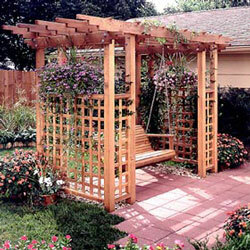 Hang a swing or two and enjoy relaxing on this inviting porch. 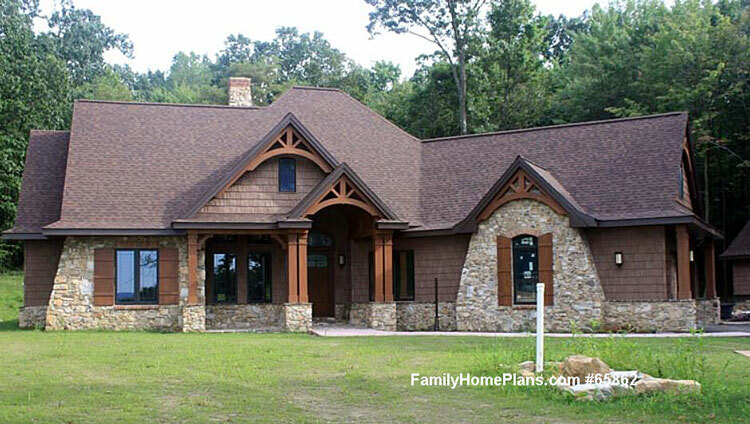 Go all out with this beautiful country farmhouse home and porch plan. 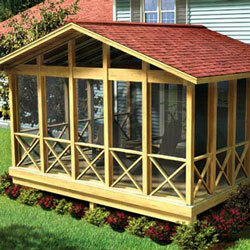 We've been asked several times about ranch homes with aesthetically pleasing porches. 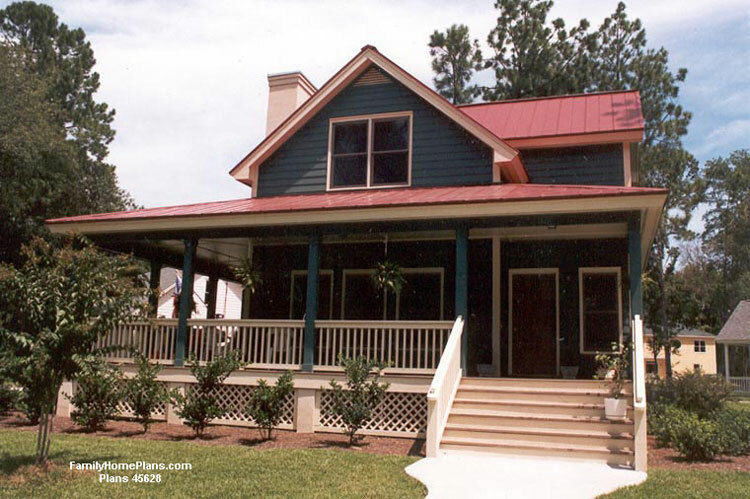 Often times a ranch home's roof slope is low making it more difficult to attach a porch blends with the architecture of the home. 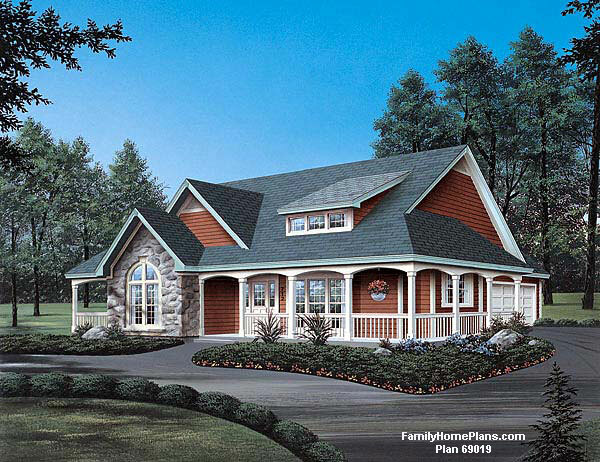 We found these exciting ranch home plans that have fun and appealing front porches. 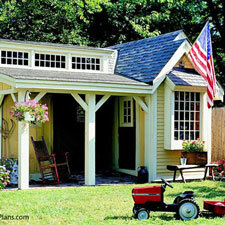 Although small in size, this ranch cottage (photo below) is full of appeal. 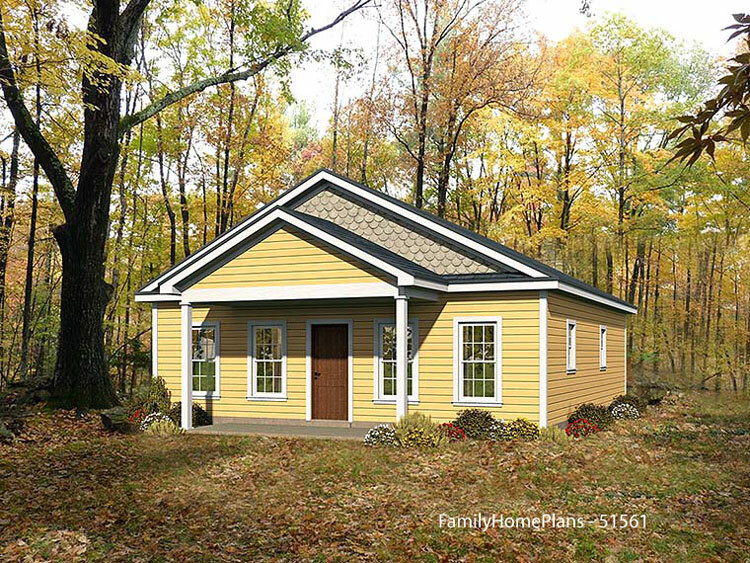 At only 576 square feet it is perfect as a starter home (nice and cozy) or possibly modify this plan to add additional square footage. We love the little front porch. 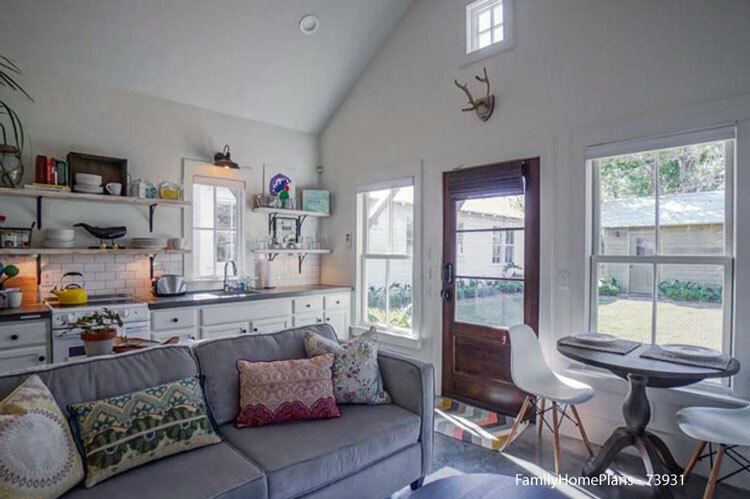 This is a nice 9 foot ceiling ranch home with an inviting front porch. 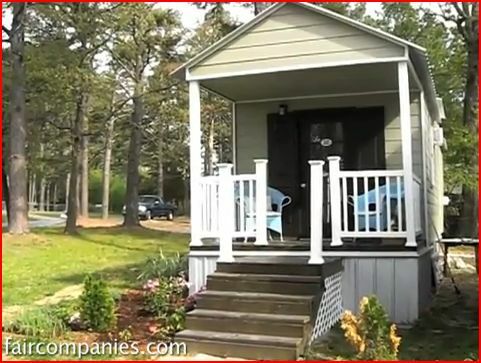 Depending on your lot, you could opt to have this remain an open porch (no railings as shown) or with railings if required by local building codes. 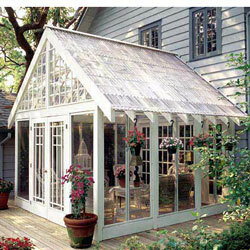 Either way, it would be a great family porch. 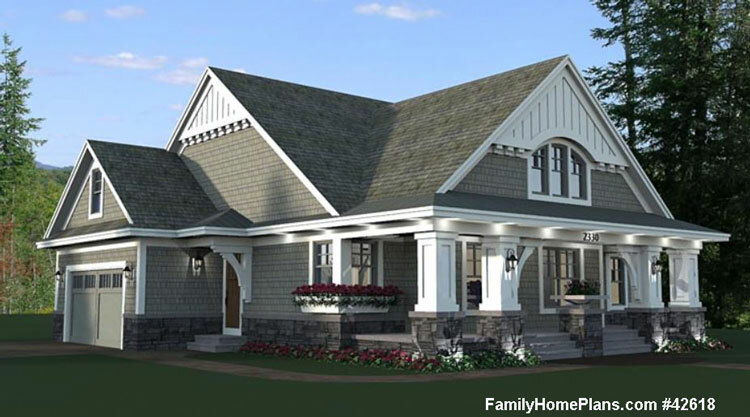 Really nice ranch style home design and the arches between the porch columns are a nice touch along with the heavier column pedestals all of which adds a bit of sophistication to this home. 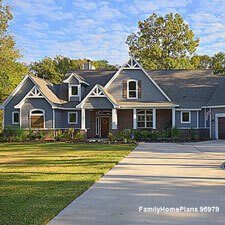 These are a few of the many more ranch home designs with porches you should see. 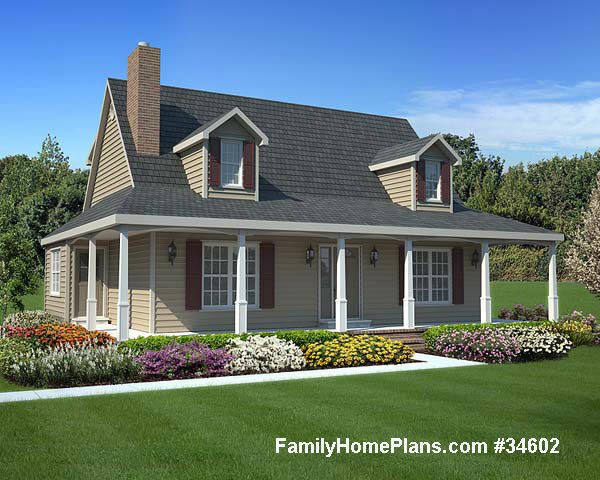 What's nice about Family Home Plans is they have the capability and desire to work with you to design the home with features you want or need. 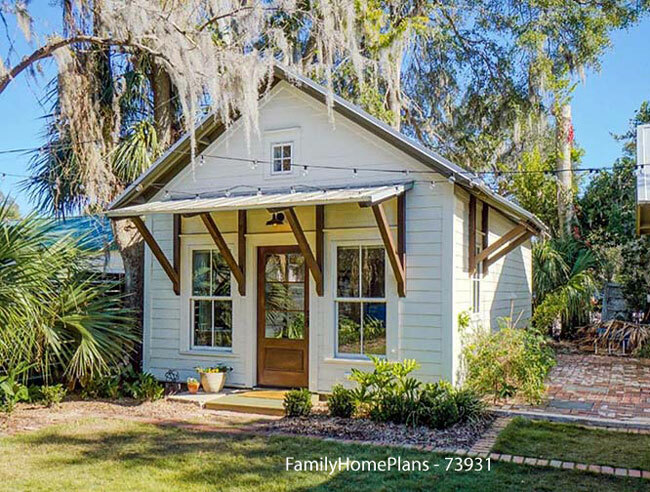 If thinking of down sizing, whether you are retiring or not, check out these neat homes we discovered that have ideal front porches. 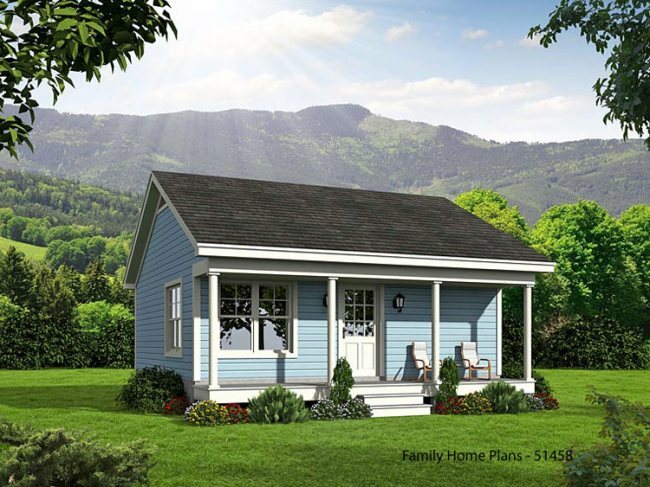 This house plan offers 1420 square feet and a most appealing front porch with a gable roof design over the front door. 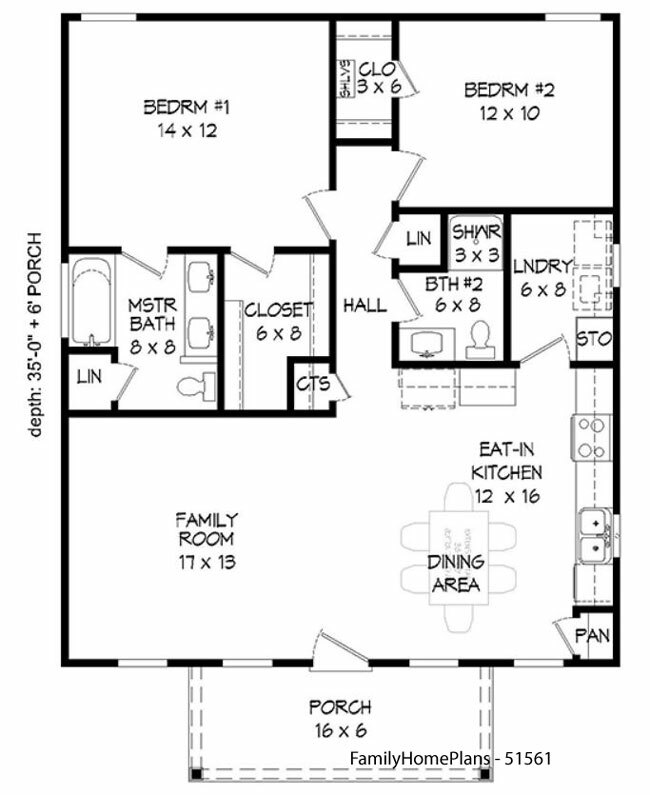 This plan can also be modified to suit your specific needs. 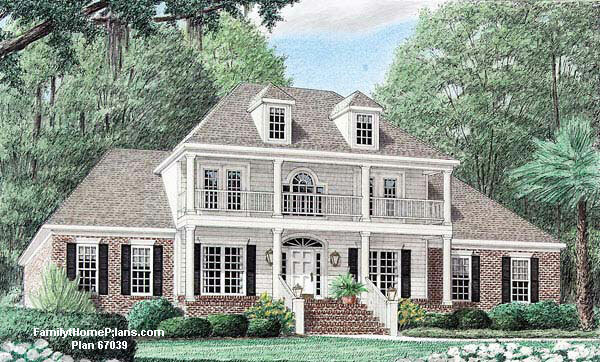 Arched openings between porch columns and a home plan with interesting roof lines combine to make this a real charmer. 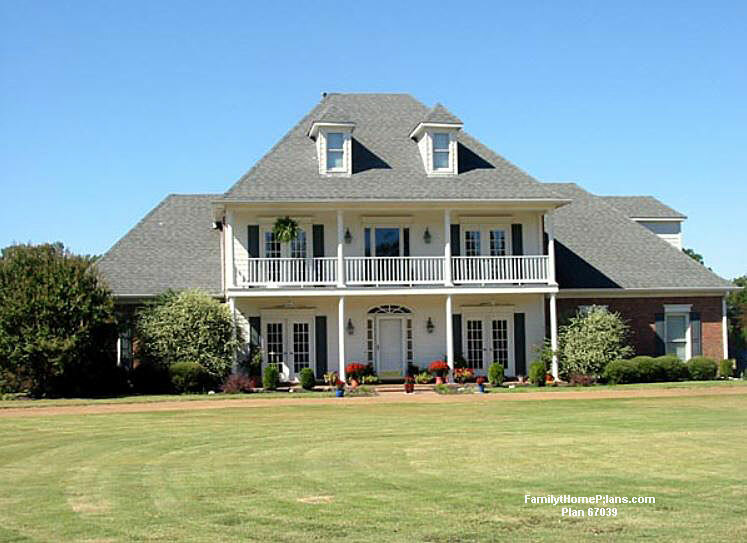 Many luxury homes do not have front porches. 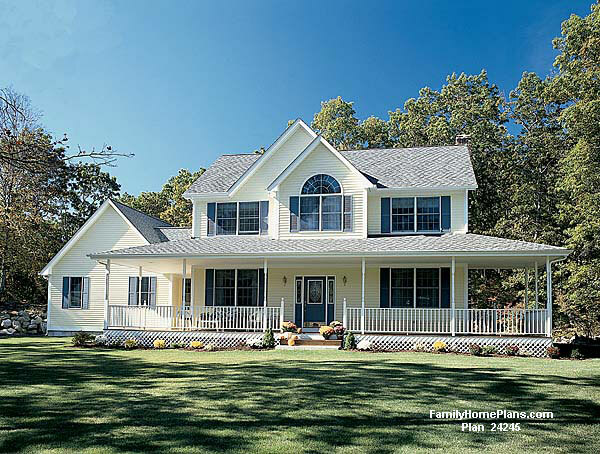 However, we did find a rather good selection such as the one shown below along with a photo of an actual home built from the plan.